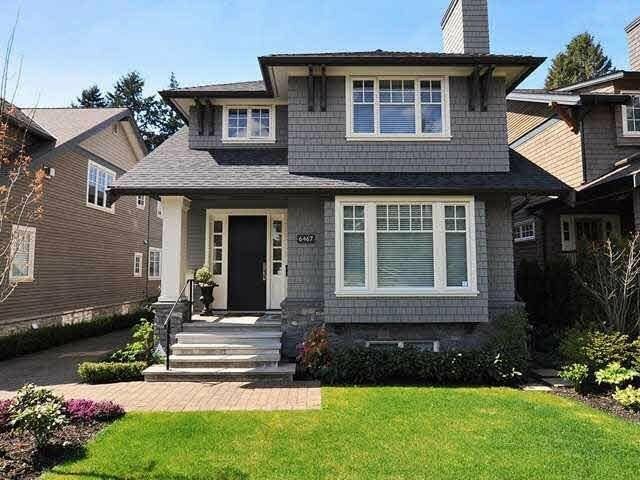 Heritage inspired, exquisite & meticulously maintained 8 yr old family home in the heart of Kerrisdale. 4170 sqft. 5 bdrm, 6 baths with old world features such as butler's pantry, library, master bedroom fireplace adds charm to this otherwise modern home. Stunning kitchen, incredible master's suite, professionally designed lighting, millwork, solid H/W floor, smart home automation w/full audio & touch screen pkg. Designer features throughout. Steps to transport, shopping, recreation, parks. Close to many excellent schools. Come for a viewing and feel right at home!